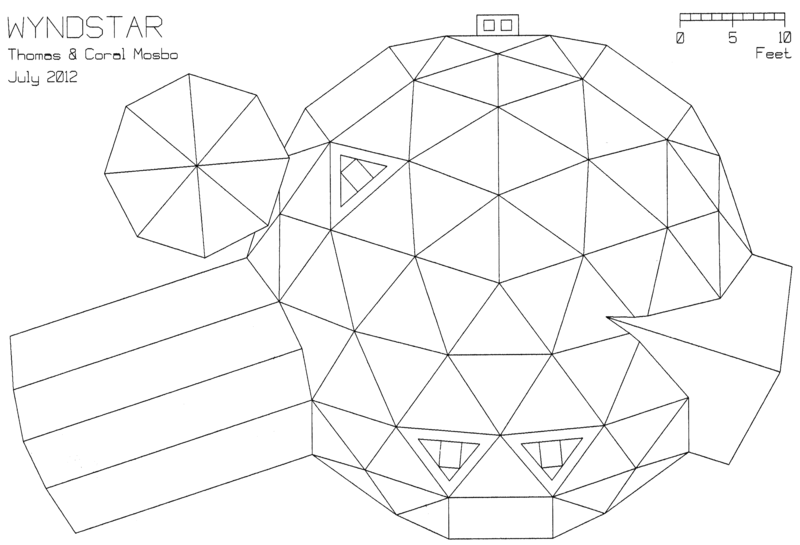 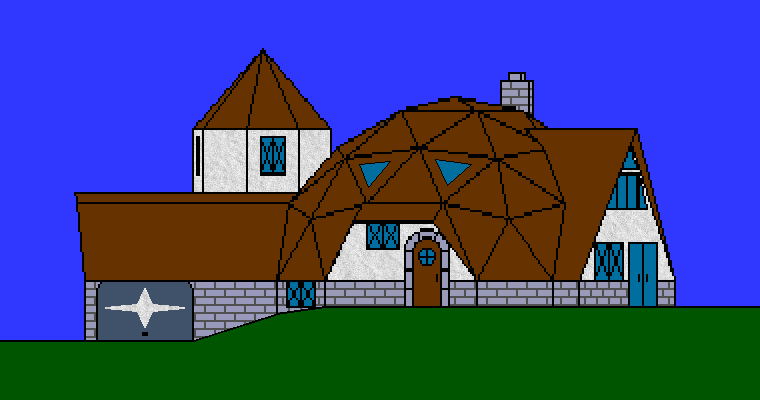 First designed in 1980 by Coral and Thomas, the Wyndstar geodesic dome was conceived as a Haven for Imaginative Awakening, a home both for our family and for our creative world. 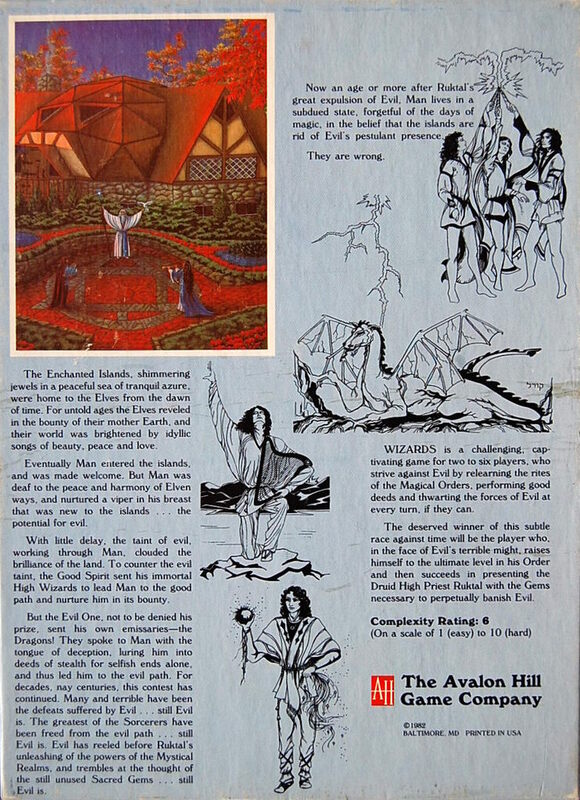 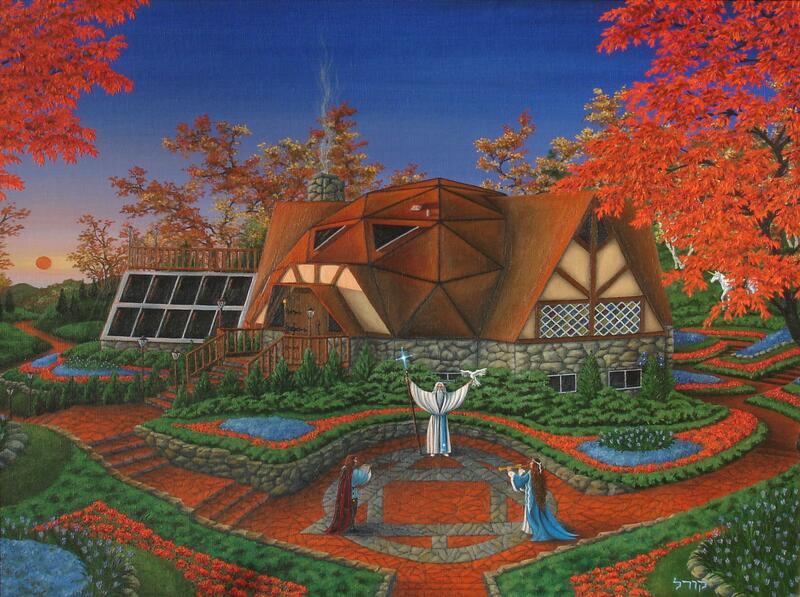 The Wyndstar Dome itself appears in the painting "The Calling" and was also incorporated into the game "Wizards". 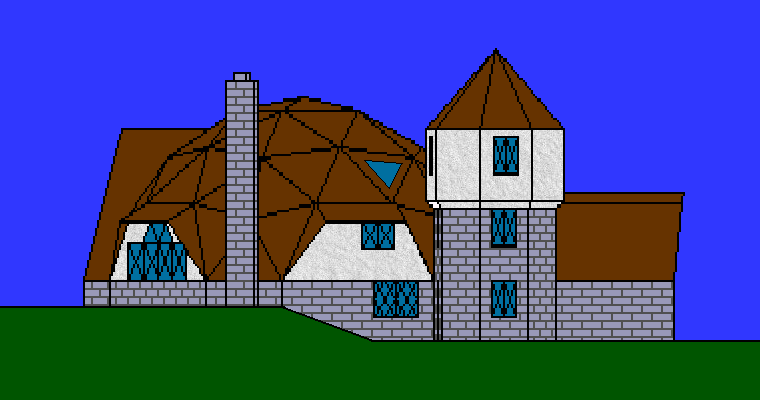 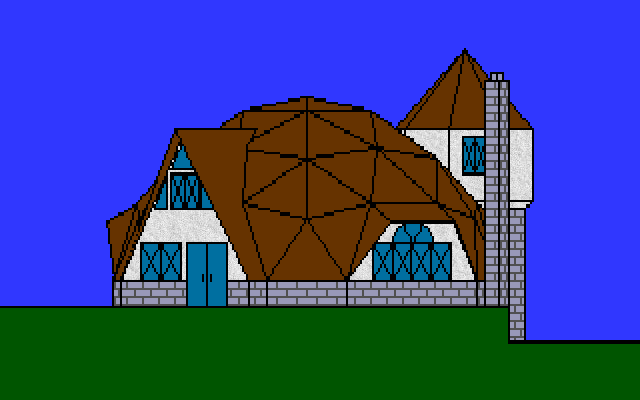 Each of the Elven Dwellings in the game is a differently designed dome, with Wyndstar itself residing in Glendale, the principal Elven territory. 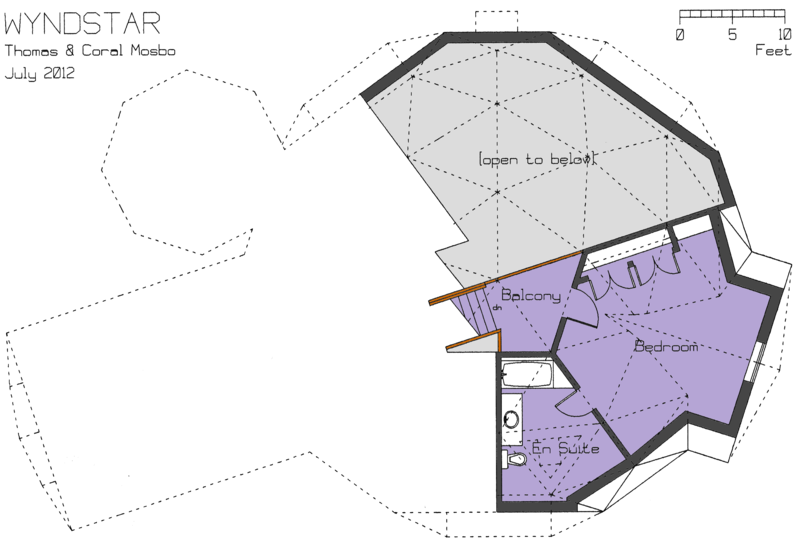 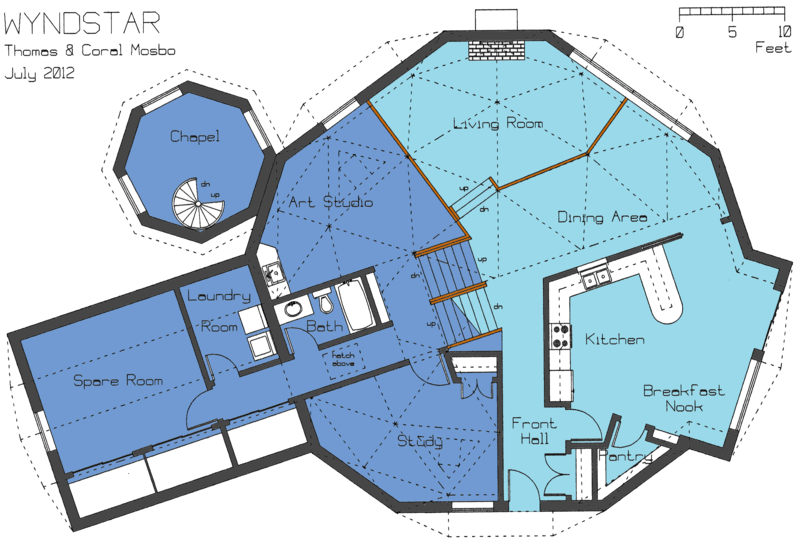 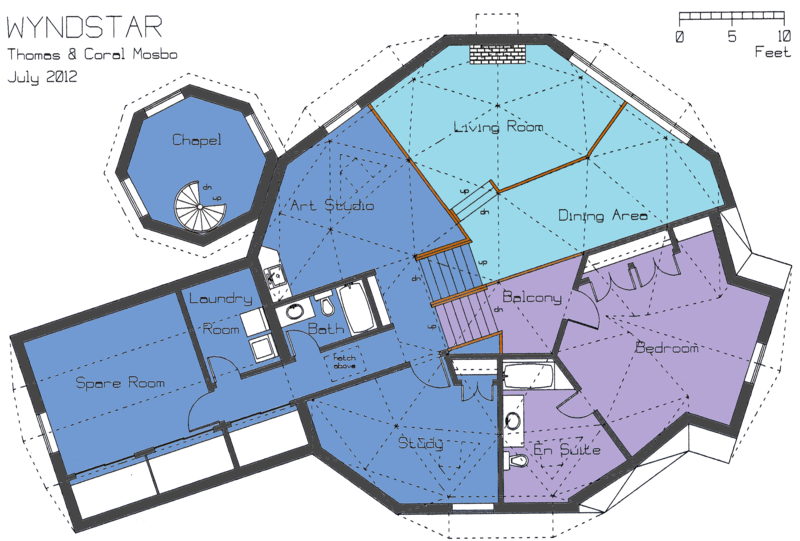 The floor plans for Wyndstar have evolved over the years, with a number of changes and variations, but eventually becoming a split-level design with an added tower. 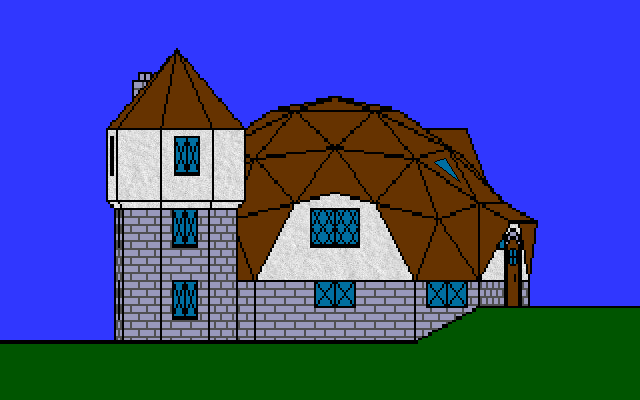 However, our unique dome home has yet to be realized. Floor plans for the current design are presented here in three sets. 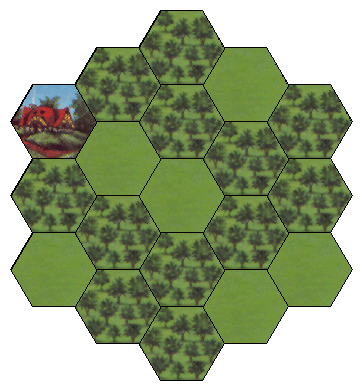 In the first set each level (beginning with the lowest) is depicted in isolation. 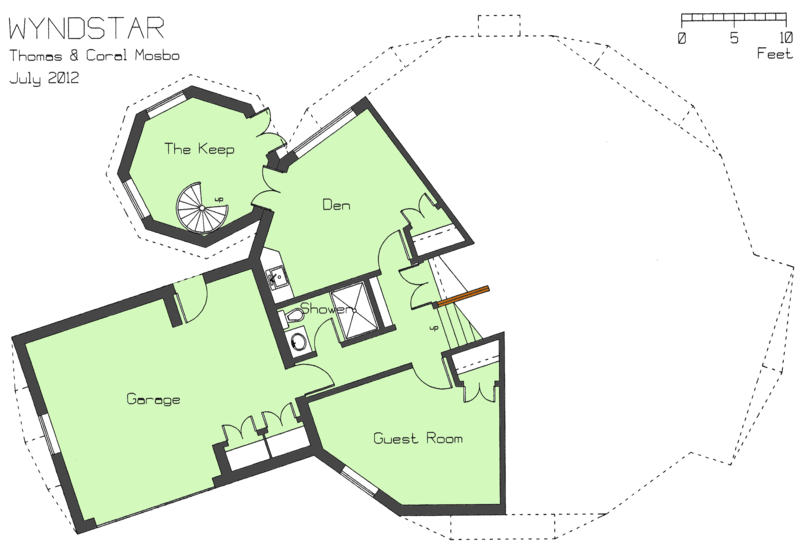 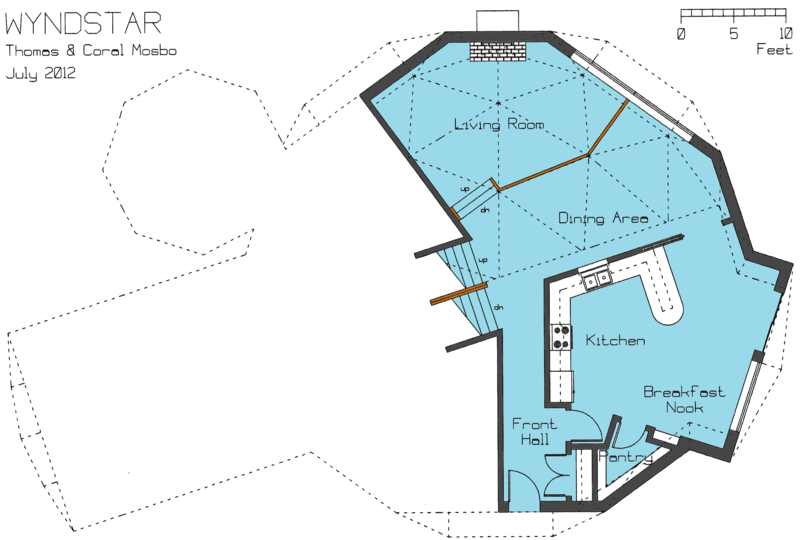 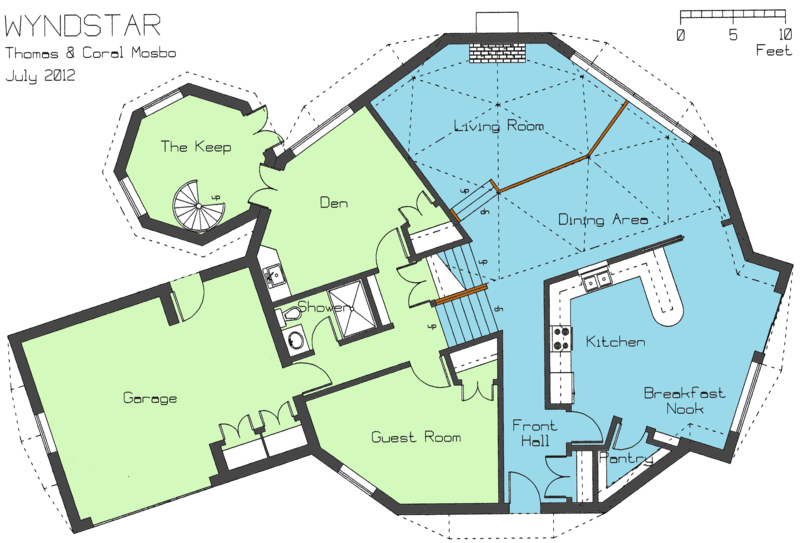 In the second set of floor plans, each possible pairing of adjacent levels is depicted (again beginning with the lowest). 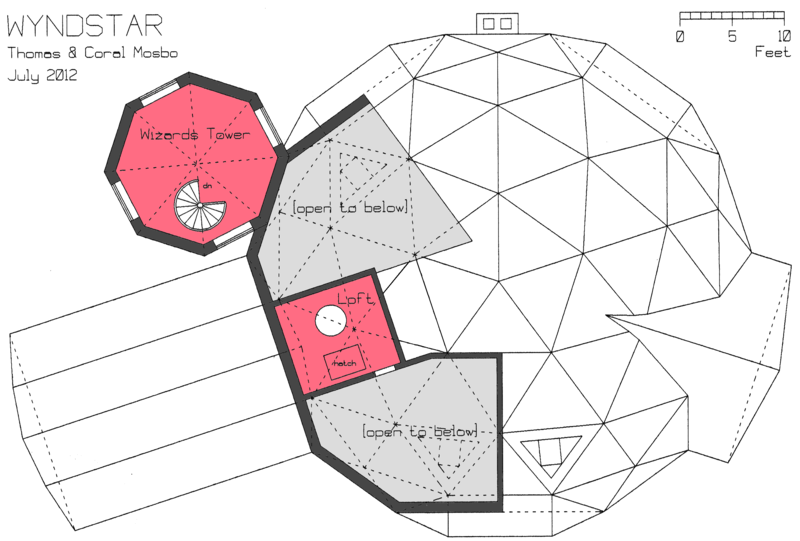 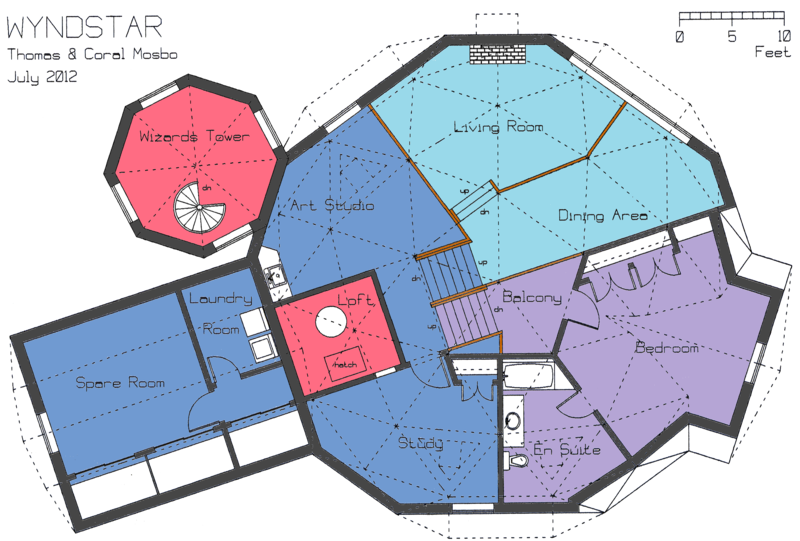 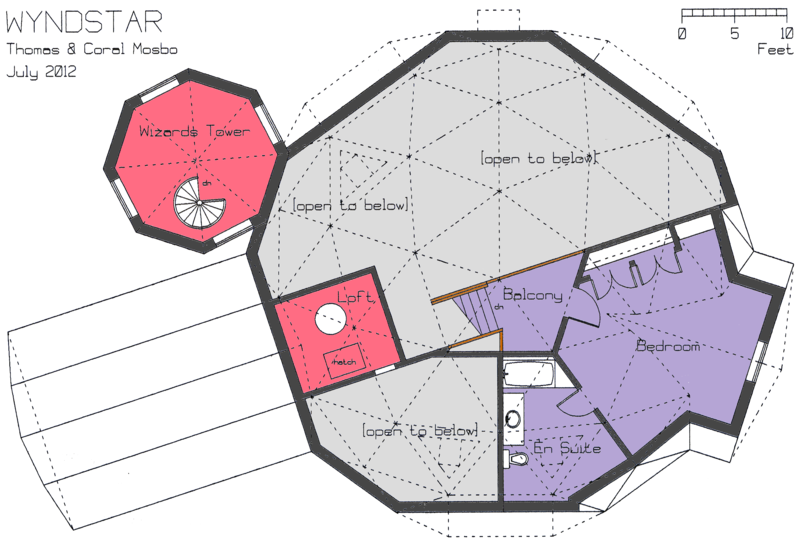 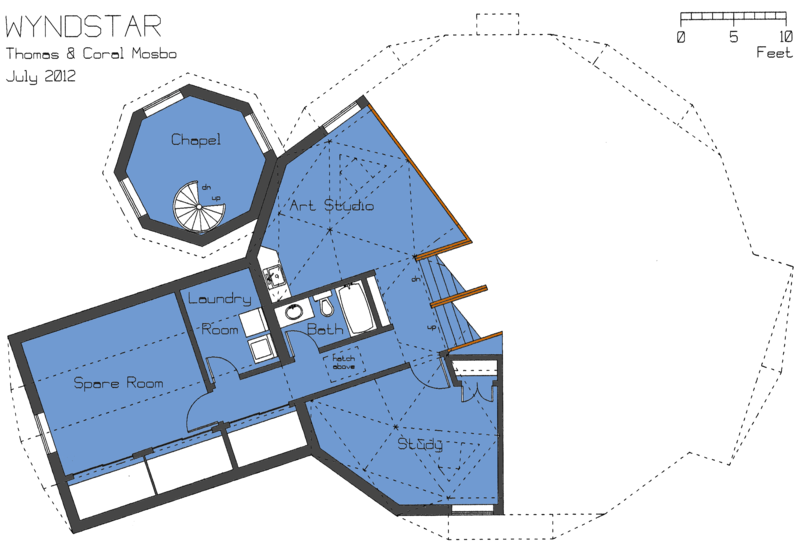 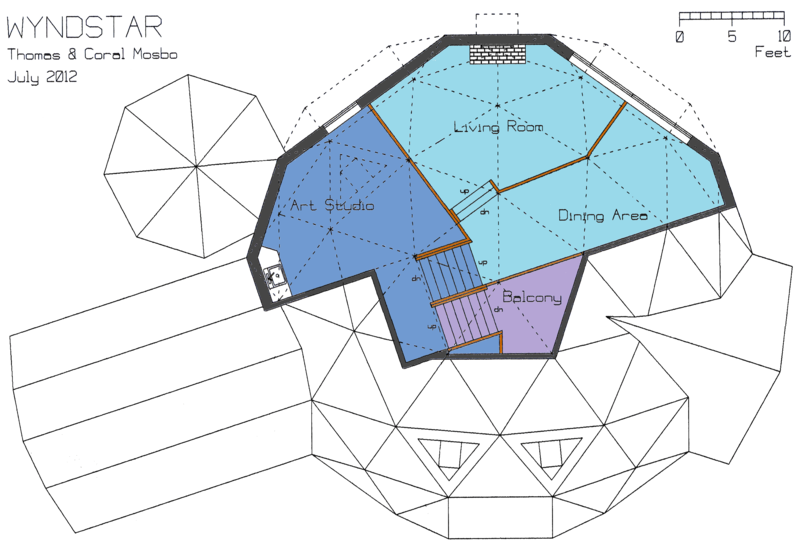 In the third set of floor plans, rooms from several levels which are open to the dome are depicted.